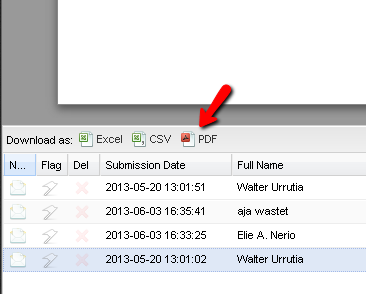 Is there a way I can print every form submission from the inbox all at once? I want to print each form out as it shows in the inbox but I want to print them all out at once. Is there a way I can do this? Nevermind. I just found out that you can't really. You can only do it through dropbox. You can accomplish this by downloading the PDF file which contains the all the Submissions, then you can print them all at once. -First you have to go to MY FORMS. 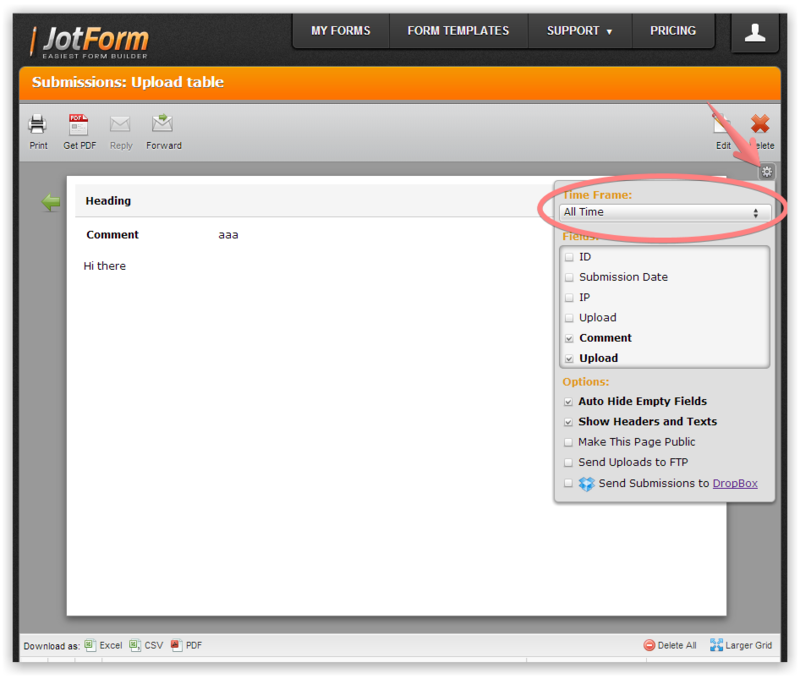 -Then, choose the form you want to prin the submissions from. After that, click on Submissionns. -Finally go to the bottom of the page and Download the PDF file. It says it will only print 20 at a time and I have to change the display settings. Where are the display settings? To be more specific, it says to change the time frame in the display settings. I don't see this. You will need to click on a gear icon, and then you will see the Time Frame option. For example, you can set it to 'This Week' and print weekly submissions.